Two state legislators who have been drawn into controversy over creating a state milita. An AP story stated that "Frustrated by recent political setbacks, tea party leaders and some conservative members of the Oklahoma Legislature say they would like to create a new volunteer militia to help defend against what they believe are improper federal infringements on state sovereignty." The article went on to further state, "Tea party movement leaders say they've discussed the idea with several supportive lawmakers and hope to get legislation next year to recognize a new volunteer force. They say the unit would not resemble militia groups that have been raided for allegedly plotting attacks on law enforcement officers." 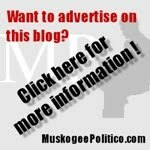 The legislators referred to, State Rep. Charles Key (R-OKC) and State Sen. Randy Brgdon (R-Owasso) - a candidate for governor - have both issued statements regarding the article. Recent statements of mine regarding an Oklahoma militia have been misrepresented, taken out of context and are badly misunderstood. I have stated that the formation of and participation in, an Oklahoma militia is legal based on both federal and state law. However, remarks I made in historical context were inaccurately reported as my personal opinion. Specifically, historical speculation about the frame of mind of the Founding Fathers as they wrote the Constitution was reported as if it were my deeply held belief. Then these misrepresentations were used to distort my true beliefs, while implying that I have violent intentions. So let me set the facts straight about my beliefs on dealing with the federal government, the role of a militia in Oklahoma, and how best to effect change in government. Both the First and Second Amendments of the U.S. Constitution protect individual participation in a militia. Membership in such a group is a form of self-expression, so our right to free speech comes into focus. The Second Amendment states, "A well regulated militia being necessary to the security of a free State, the right of the people to keep and bear arms shall not be infringed." Our Founding Fathers were suspicious of big, centralized government. However, nobody can mistake this statement as some sort of right to insurrection. The fact is that Oklahoma state law already establishes and provides for, an "unorganized militia" as an officially recognized part of Oklahoma military forces. §44-41. Composition of Militia - Classes. The Militia of the State of Oklahoma shall be divided into three (3) classes: The National Guard, the Oklahoma State Guard, and the Unorganized Militia. 23. "State military forces" means the National Guard of the state, as defined in Title 32, United States Code, the organized naval militia of the state, and any other military force organized under the Constitution and laws of the state to include the unorganized militia (the state defense force when not in a status subjecting them to exclusive jurisdiction under Chapter 47 of Title 10, United States Code). These statutes are not part of overlooked or arcane law. The legislature has rewritten this section numerous times over decades, most recently in 2007. So undeniably, a militia in Oklahoma is not only legal – it already exists as a matter of fact. No, Oklahoma does not need to activate the unorganized militia. If we ever do, it certainly won't be to invade Washington, D.C. In fact, Oklahoma's unorganized militia is prohibited from operating outside the state. I do plan to fight what I consider to be an over-reaching federal government, but I will do it with the Constitutional tools provided by the framers. For years, I have advocated adherence to the 10 th Amendment as a weapon against big government. As a legislator for much of the last decade I have routinely proposed new law. When enough of my Senate colleagues agree with me laws are changed or enacted, peacefully. Yet, this week, some people seem convinced that I would abandon the democratic process to wage actual war on the federal government which is simply bizarre. I was saddened that some in the anti-militia crowd can be as irrational and violent as those they condemn. As this story developed over the week, I received as many as a half-dozen death threats, not only directed at me but at my family as well. One unpleasant person said they would only be satisfied when I am swinging from a tree. Hopefully, the thought was fleeting. The threats were forwarded to the OSBI for investigation. On Thursday April 8, 2010, Sean Murphy of the Associated Press came to my office and asked to speak about some rumors “they” had heard about militias. He said “they” had heard that there were some legislators who were considering filing legislation about ‘the militia’. He was very persistent about trying to get comments from me about militias and asked if I knew anything about that or heard anything about that. I told him unequivocally that I knew nothing about that and had not heard anyone talk about or request a legislator address this issue in any way. We then talked about state sovereignty issues and the liberal interpretation of the “Commerce Clause” in Article 1, Section 8 of the U.S. Constitution. I was surprised to learn of the article that appeared in The Oklahoman and other media outlets on Monday, April 12, 2010 that attributed to me a statement I never made. The statement attributed to me was not in quotation marks and the interview of April 8 was not recorded to my knowledge. My office has been inundated with inquiries about this false statement. Tuesday, April 13, Sean Murphy came by my office and asked to speak with me. He said he wanted to apologize if the article had caused me or my legislative assistant any problems. I told him that he got it terribly wrong and reminded him that I didn’t know anything about an interest and never said I was considering filing legislation related to militia. He then made a statement that stories are sometimes edited and that can alter the intent of the interviewee. He then said he wanted to get it right and asked if he could record our conversation. I agreed and we did another interview. I expected to see a corrected article to follow. I am demanding a retraction and that the recording from the second interview be released. The issue appears to have started when Al Gerhart, co-founder of the Sooner Tea Party and founder of the Oklahoma Constitutional Alliance, made statements to the press expressing support for starting a state-run militia, as mentioned in state statutes. The media ran with it, and now the issue has blown into a huge brouhaha. Gerhart continues to make idiotic statements, and his Oklahoma Constitutional Alliance, once a loose affiliation of more than 30 groups across the state, is now shrinking. Gerhart does not speak for the Tea Party movement in Oklahoma, and I certainly hope that his stupid actions don't hurt the movement as a whole. The way the media has politicized the Murrah bombing is very shameful. The tea party folks believe in democracy and are using the democratic process to change government. McVeigh had given up on democracy and turned to violence. The media hopes comparison to McVeigh will help quash political dissent. Don't let that happen. Looks like just another Republican shill bent on attacking the Tea Party and any effective leaders that pop up. This author knows well that it was a Tulsa group that was advocating the State Guard reactivation, not me. But we are getting a front row seat while they show their fear of change and a good view of their character. Looks like just another Republican shill bent on attacking the Tea Party and any effective leaders that pop up. What?? I'm not attacking the Tea Party movement. I'm a Tea Party organizer, for crying out loud. I'm merely defending it from harmful associations. See, it's stuff like that that marginalizes you, Al. If you wouldn't resort to personal attacks (incidentally, a standard left-wing strategy), things would go better for you. Listen to Pat Cambell's segments on KFAQ on the topic. Anyone with any intelligence would see though this false controvesy right away. Your article was a personal attack and an attack on the OCA and by extension on any non RINO alligned Tea Party. Bottom line, you guys want to co opt the movement, it isn't working, and you are lashing out. I didn't call you a "fool" (like you did me) - rather. I referred to things you said that detracted from the goals of the Tea Party movement. 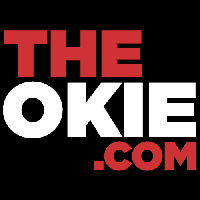 Besides, the focus of my article was the statements by Key and Brogdon, not your involvement. I merely stated the truth. Shall I count off the groups that have left the OCA? ... and by extension on any non RINO alligned Tea Party. This is absurd. For one, you barely know me, yet you call me a RINO. You'd better call folks like Randy Brogdon and Mike Reynolds RINOs too, then, because those are folks I line up with. I'm just about as conservative as you can get. I'm no Johnny-come-lately to the Tea Party movement. I was there at the beginning. I've proven my commitment to the movement with my involvement and organizing here in Muskogee. I've also proven my commitment to the conservative cause financially, volunteering, supporting true conservatives, voting, and countless other ways. I'm not trying to "co-opt" the movement - I am the movement (along with countless millions of Americans). I'm trying to protect the movement from things that can and will harm it. You are a fool if you think you can get some mileage out of attacking the Tea Party over this. It was a manufactured attack, and as a RINO republican, you thought you could take advantage of it to destroy the OCA which is standing in the way of the RINO Republicans taking over the movement. Like it or not, the OCA is committed to helping the conservative faction of the GOP to retake the GOP and return it to truyly conservative and constitutional roots. And let's list the groups that quit the OCA over this. Americans for Prosperity quit after I responed to Gary Jones's second attack on the OCA. They claim almost "20,000" members but can't get two of them to show up at an event! American Majority had to quit cause they are a 501 C3 and this was getting too political and too tied to controversy. Then your Muskogee Tea Party under your leadership turned tail and ran. Sunshine patriot I guess, or maybe I should label you as "militia" that would run at the first wiff of powder? Besides, you were griping a few weeks ago about some of the groups in the OCA, Kaye Beach's AxXion For Liberty, We are Change, and Radio Free Oklahoma. Your house is burning down and you want to be particular on who helps save it? These are good people, every single one of them have done a hundred times more than you personally ever did for the OCA projects. Two of the groups tend to be libertarian, well better that than a RINO. Now, I am helping build readership on this rag of a blog. I don't think I'll have anything else to add. Just go your own way and leave the Tea Party movment alone. You are a fool if you think you can get some mileage out of attacking the Tea Party over this. You just refuse to get it, don't you? How many times do I have to say that I'm not attacking the Tea Party movement before it gets through your head? I am a member of the Tea Party movement. I am an organizer of the Tea Party movement. I am not attacking my own movement. Period. End of story. No reasonable person could get that from my posts. and as a RINO republican, you thought you could take advantage of it to destroy the OCA which is standing in the way of the RINO Republicans taking over the movement. Back to the old "I disagree with you on this one thing, therefore you're a RINO" claim of desperation, are we? You have no idea what my positions are on the issues, and you call me a RINO? Name any issue, and I'll have a very conservative (dare I say, libertarian? *gasp*) stand on it. Besides, you were griping a few weeks ago about some of the groups in the OCA, Kaye Beach's AxXion For Liberty, We are Change, and Radio Free Oklahoma. From your email selling the OCA: "Membership is limited to the leaders of groups only, no individual." You broke what you sold the group as. And so much for "but if the differences are too great, we will all understand and wish you the best", like you told me in your email. First, I didn't have a problem with readership before you came. 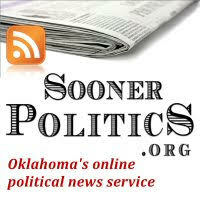 This is one of the more read political blogs in the state; certainly don't need your help in getting readers to come. Second, I'm not leaving the Tea Party movement. 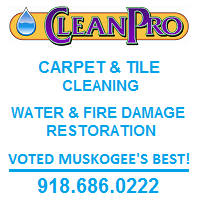 We'll continue to do great things here in Muskogee, in spite of everyone else. Um....you really don't get it do you? And let's define RINO why don't we? If RINO means anything that I disagree with you on as a Republican, then I believe it would be you who's the RINO and not Muskogee Politico or myself as we have been Republicans longer than you have. 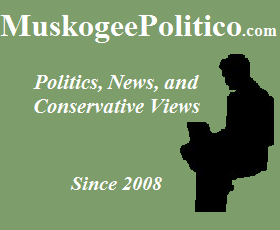 Muskogee Politico is not attacking the tea party. Anyone who reads this blog can see that. Rather he's just informing you of the responses of Key and Brogdon regarding their claim that they were misrepresented on the militia issue. The truth of the matter is, it's people like you and the OCA that are trying to take over the Republican party to make it what you want it to be and to be in power. Well, you can try all you want but that's not going to happen. And I don't appreciate your attacking the party chairman either. It was certainly out of order to do so at a tea party rally. You need to apologize. It is your fault and yours alone that you are losing members and being critized from all sides. It is you that is giving the Tea Party Organization a bad name. There's no one else to blame. We "RINO's" don't want to take over the tea party. As fellow Americans we all share a sincere concern for the path that our country is headed, and we want to turn it back to what our founding father's meant for it to be. Why can't we work together on the things we agree on? Good gracious, Sooner Tea Party. I honestly can not see how you can draw the conclusions you have drawn from what Jamison has written. If you would look back at some of his other posts, you would see the countless times, he has promoted the Tea Party movement. Far from sabotaging it, he is doing his best to help it. As he and others have already said, just because he doesn't necessarily agree with your viewpoint does not make him a RINO. Keep up the good work, Jamison. If you show me your list, I'll show you mine. What list are you referring to? Interesting. Jamison wrote this about me : "Gerhart continues to make idiotic statements,.."
"and I certainly hope that his stupid actions don't hurt the movement as a whole.."
All the while spreading the rumor that it was I that started this militia story rather than the guy in Tulsa, an outright lie. Yet Jamison said "See, it's stuff like that that marginalizes you, Al. If you wouldn't resort to personal attacks (incidentally, a standard left-wing strategy), things would go better for you." So Jamison calls me an idiot and stupid, blames me for starting the story despite his personal knowledge otherwise , then claims I attacked him personally??? I responded to "idiot" and "stupid" with "fool", hardly an unprovoked attack, and somewhat restrained given the provocation. And I suppose if we take him at his word, he has identified himself as using "standard left-wing strategy". And another person said that I attacked the party chairman. No , he attacked us, for the second time, on Politico. I was responding to an attack, setting the record straight and showing the world just how out of control Gary Jones has become. I do agree that we should work together on things that we agree on, which is why I founded the OCA. Where the problems showed up is when sunshine patriots smelt the first wiff of powder and turned coward. And we want the GOP to follow their own 2009 platform, tea party folks would support them 110% if they did. Bottom line, RINO republicans found out they couldn't control the OCA, that we were going to force changes to the GOP, to force them to follow their own platform rather than using it as marketing to sucker the citizens of this state to reelect them once again. Jamison took his marching orders and attacked the OCA and me personaly. I called him out for blatant lying, the words are wrtitten for all to see. Right. I made those comments about your statements, not you personally. Your statements about the militia (yes, you didn't start them, but you kept them alive) and "Gary Jones, we're coming after you" distracted from the goal at hand, made the group look like a bunch of idiots, and had the potential to marginalize the Tea Party movement here in Oklahoma. Where the problems showed up is when sunshine patriots smelt the first wiff of powder and turned coward. From your email to me, selling the OCA: ... you just help out where it is in your group's interest. All the groups remain independent and can drop out at any time. You also said [if the group feels the need to withdraw] we will all understand and wish you the best. Hmm. So much for that, I guess. Jamison took his marching orders and attacked the OCA and me personaly. Marching orders? Wow... I must have missed an email or phone call or something, because I received no direction from whoever is really running the Tea Parties, I guess. You just refuse to believe anything I say, don't you?